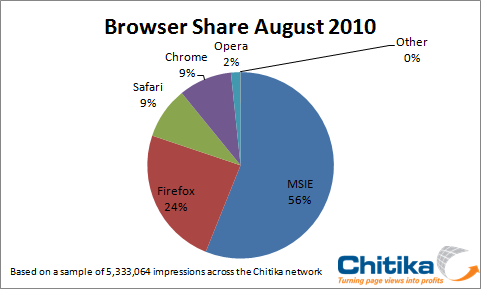 In my HTML and CSS Standardization blog entry, I cited the browser market share breakdown for the major browsers. 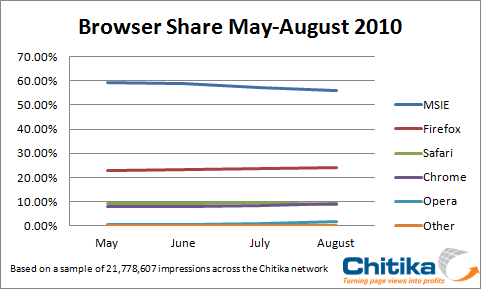 Here is additional information on browser market share, from chitika.com. Internet Explorer continues to lose market share as indicated in the following.